This question is one of the most frequently asked questions by CRM developers/administrators. Following are few different ways to get this information for Dynamic CRM. Select Show updates and this will show relevant roll up details as mentioned in the following figure. This is client side screen print and for the server you need to go on to server and check same thing in Add or Remove Programs. Go to Outlook and Click on “CRM” button in CRM outlook Toolbar and it will displays the client (outlook) and Server roll up number of CRM system as shown in screen print below. Run following query against relevant CRM database and query result will details relevant installed version for CRM system. Also check following is a list of CRM rollups and their release info, match the details (i.e. Version number) got through above option and you will know which roll up is installed on your CRM system easily. 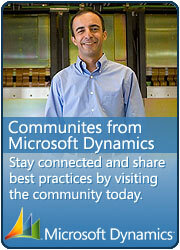 This entry was posted in CRM 4.0 and tagged CRM 4.0, Version on April 13, 2010 by mayankp.